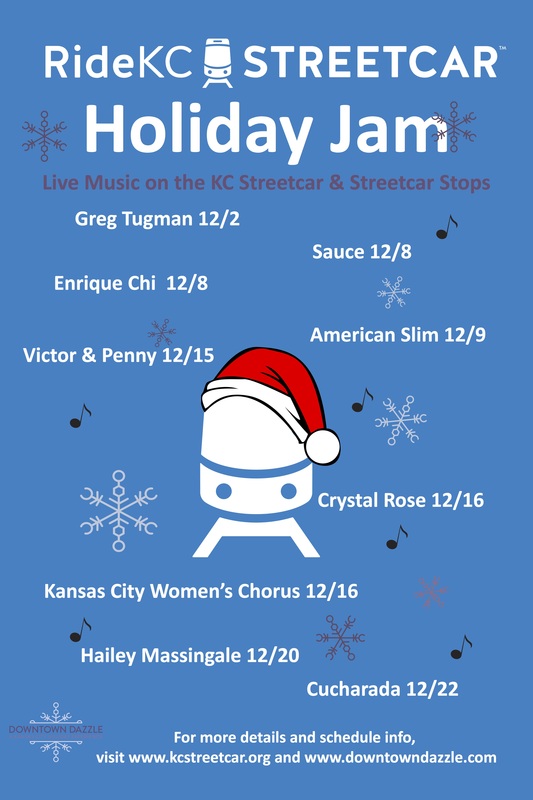 As part of the Downtown Dazzle events, the Kansas City Streetcar is hosting nine live musical performances on board the streetcars and at streetcar stops. Music will range from traditional holiday music, covers and original music performed by local artists. Enjoy the holidays downtown and on board the KC Streetcar this season. *Schedule is subject to change due to unforeseen circumstances. All attempts will be made to reschedule.